Small Footprint. BIG fun! Create quick Animated GIFs to share instantly to your smart devices. 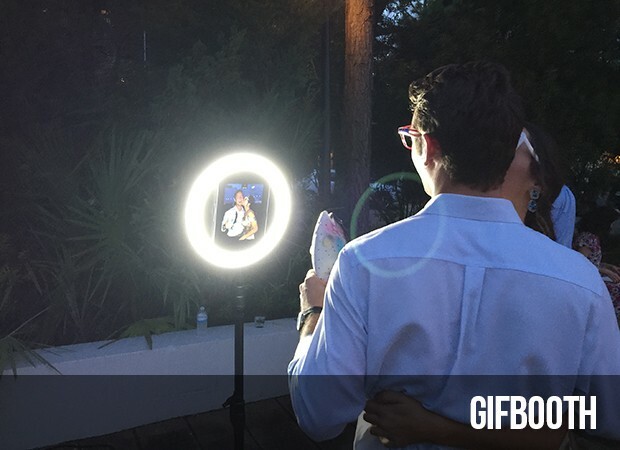 The GIFBooth Adds a unique and animated experience to any party and can be easily added to the Classic Photo Booth Package to raise your event to the next level! 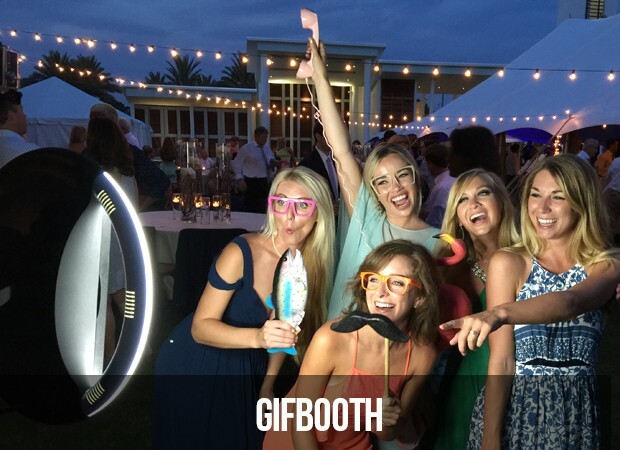 Guests select which type of photo or animated GIF to create. 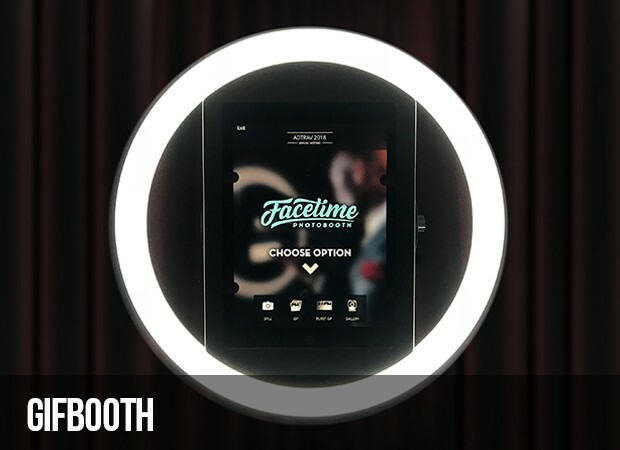 Guests instantly text the images to their phone or email themselves. The web-ready files are re-texted or forwarded to friends and family, or posted QUICKLY to their favorite social media sites! After the event, all images are provided in a free, password-protected gallery! Guests remember your amazing party forever!